We have been so busy over the past few weeks selling our lives possessions and packing for our trip that actual planning for this said trip has taken a back seat. Weeks ago I put together this little map info graphic to highlight some of the places and sights we will see while in South America. 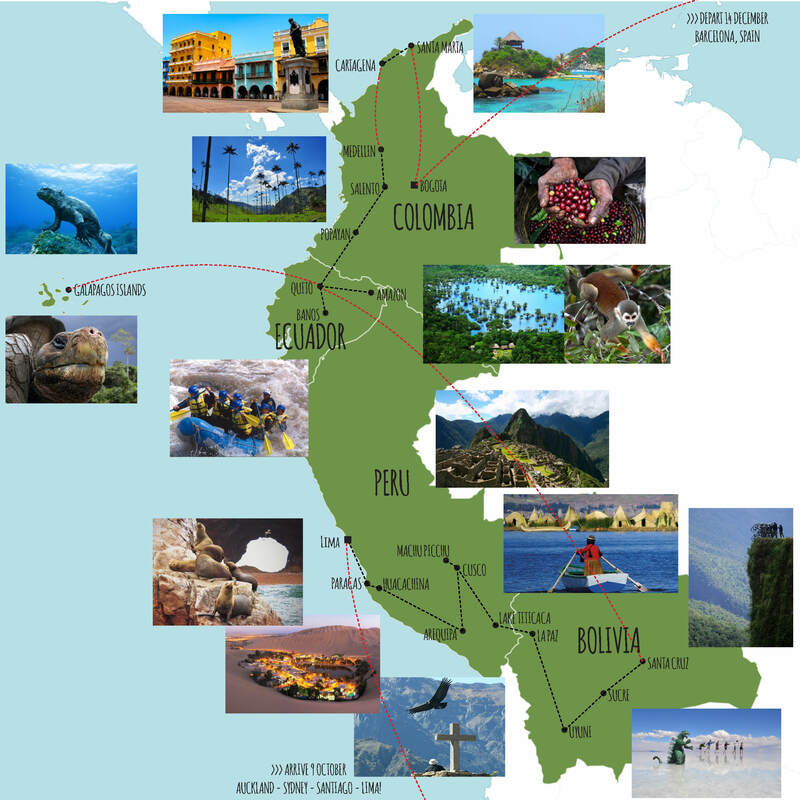 This is just a rough guide, our only set dates are our flights in to Lima, Peru (9th October), flights out of Bogota, Colombia (14th December) and our 4D3N Classic Inka Trail Tour which begins on the 23rd of October. Our rough itinerary is flexible to allow us to stay longer/shorter for if we fall in love (or out of love) with any given place along the way. The internet is a bit sketchy in parts of South America but we will do our best to keep you updated along the way.